316: One nice thing about this season is the low sun makes spectacular sunflare. 317: Hannah "plays" the piano every day. 319: She wouldn't cooperate for pics of all five, but had fun playing with a stick. 320: My new man. ;) Angus, a Katahdin sheep. Hopefully the father of many lambs to come! 321: Snow. Kept going from snow to sun and back again! Weird day. And that's how it's been around the creek this week. 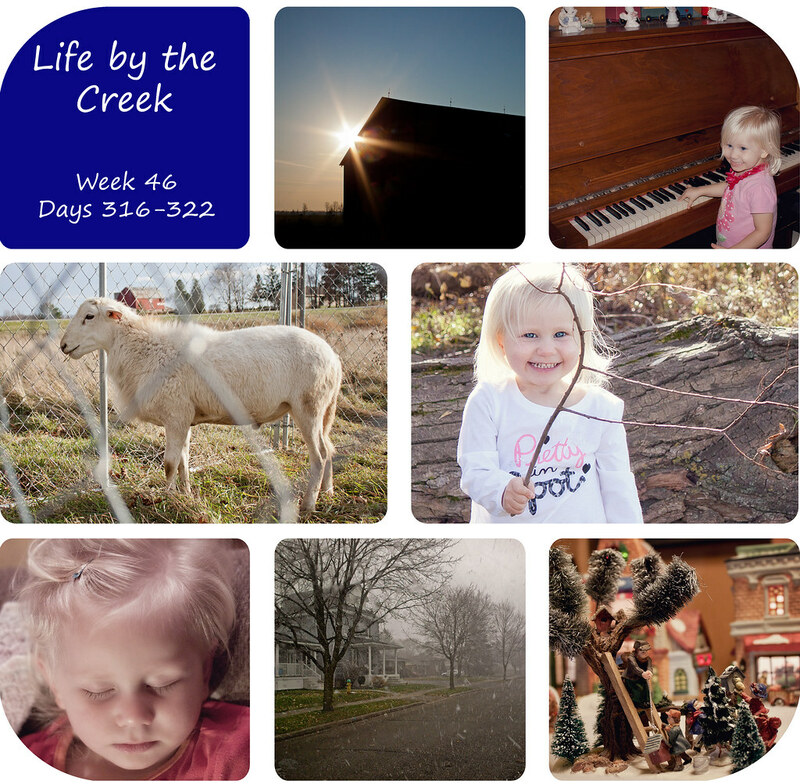 Visit Sarah and check out some more 365 projects. Oh my goodness- that sweet smile & those amazing blue eyes! She just grabs me every time I see her. Oh my! I love every single one. Love the one of Hannah napping. Loooove the sleeping baby shot! Awwww!